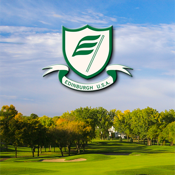 The Edinburgh USA App includes a GPS enabled yardage guide, live scoring and much more! Often referred to as a “thinking person’s course,” the emphasis at Edinburgh USA is on the strategic placement of every shot. Carefully placed hazards and folding contours throughout the course demand shotmaking that has been calculated, visualized, then implemented. The winding lakes, undulating greens, beautifully manicured bentgrass fairways, eye-catching “island hole” and mind-boggling triple green have all helped Edinburgh USA earn a reputation as one of the finest golf courses around. The bold player will be rewarded by taking risks, but finesse and a good short game will often work to one’s advantage.